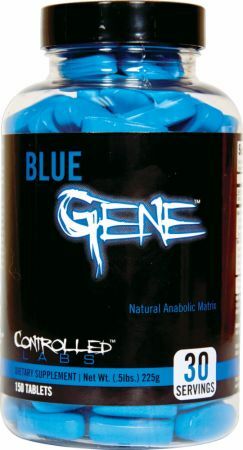 Blue Gene by Controlled Labs at Bodybuilding.com - Best Prices on Blue Gene! So many **** pills to take at one time. Ran 1 bottle for 1 month, was impressed with the added pump and recovery. Great product! Blue Gene is good for recovery and mood. As a bonus, it slightly improves blood flow/pump. If you already got the basics covered, this is a worthwhile addition to your stack. 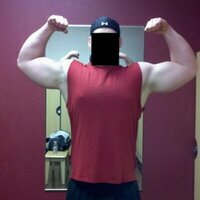 Read my full review here: http://forum.bodybuilding.com/showthread.php?t=160397511&p=1211783731#post1211783731 UPDATE: After a few more cycles I upped my rating from 8 to 9. Blue Gene has become one of my favorites. It works every time. Also worth of note: stacks great with Forskolin to elevate cAMP levels for Mental Performance (CILTEP)/Fat Loss/T-Levels. Great stuff.. at first i felt chest pain but it might have been from not enough water.. and you really have to test it out with 1 pill the first day..The benefits from this is that you can train harder and more often. This isn't a miracle product but it works great for what it is.. Once i got off this I got soo sore in every muscle so i'm assuming it helps with recovery A LOT. Take a pass and save your cash. Just horrible stuff. What the hell is this stuff supposed to do? After blowing cash on 2 bottles it was a big mistake. Spend your cash elsewhere . Terrible product. I have been working out for over 6 years and did not notice anything with this, don't waste your money. Just giving you guys a heads up. The only thing I felt was less sore the next day after my workout. I don't know if that justifies the price you have to pay for 2 bottles. Will not buy again. My favorite supplement. gives me an abundance of energy in the gym. saw extraordinary gains this month while taking blue gene. 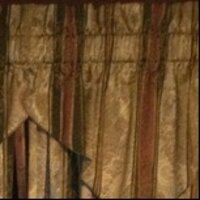 Overall a very good product. About one week from the end of a two bottle run. 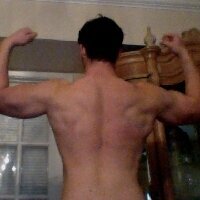 Getting nice recomp effects and am leaning out while staying at around 200lbs. The sweet spot is definitely two bottles (60 days) as I've seen more results in the 1st few weeks of the 2nd bottle than in the whole 1st bottle. The only negative is I got a mild increase in acne towards the end of my run. This a pretty good product. I used it during my cut and I didn't loose any muscle. 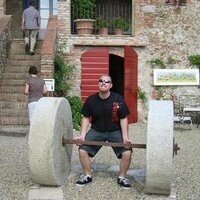 I also got a little stronger while on a calorie restricted diet with HIIT cardio and Max-OT style training. I felt that it contributed to my lean/dry look even though I wasn't dropping my carbs below 280g per day. A very nice addition to my workout regimen. I logged this product along with growth for controlled labs. Gave some good strength increase in the gym as well as focus. It is better to follow the 1 hour pre workout dosing as i found out it works better that way. Only thing i didnt like was the Food dye on the tabs would wear off on my hands and would turn my feces green. I rarely try the same product multiple times unless it I really love it, and I'm on my fourth bottle of blue gene. I like this company in general, but being on this specific supplement is a completely different experience than anything else I've ever tried. It just makes your muscles feel stronger, denser, and fuller &amp;lt;-- To a medium degree (nothing uber crazy) all day long, which is why I particularly enjoy it. Currently, I am stacking it with est plasmatic, and working out has never felt more awesome.